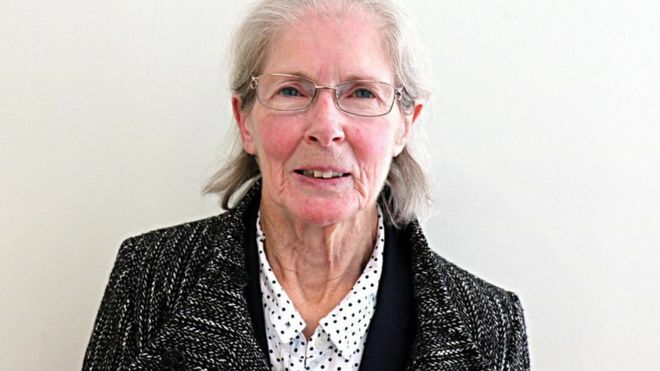 A 79-year-old woman who campaigned to be an MP and praised Hitler on a website blog has been found guilty of stirring up racial hatred. Barbara Fielding-Morriss, a self-confessed white supremacist and anti-Semite, stood as an independent in Stoke-on-Trent in June’s election. She described Adolf Hitler as a good man and wished Great Britain to be “white only”. She was found guilty of three charges at Stoke-on-Trent Crown Court. The jury found her not guilty of a fourth charge of publishing written material with the intent of stirring up racial hatred. Judge Mr Recorder Julian Taylor said some of the articles contained the “most vile details” he’d ever read and that she should be “thoroughly ashamed” of herself. Fielding-Morriss, of Stuart Avenue, Draycott in the Moors, Stoke-on-Trent, stood in a by-election in Stoke Central in February 2017 after the resignation of the then Labour MP Tristram Hunt and again in the general election last summer. She polled just under 250 votes in both elections. She is the leader and only member of the Abolish Magna Carta Reinstate Monarchy Party, the court heard, and she commissioned a party website she could blog on where she made the inflammatory comments. In four blogs between September 2016 and September 2017, she included statements about how asylum-seeking Jews were like termites and made comments about mentally disabled migrant children, jurors were told. Fielding-Morriss admitted to police after her arrest she was a white supremacist, a fascist and an anti-Semite but denied stirring up hatred, saying it was to educate people. Jurors heard she was not on trial for being racist or a fascist but for whether she intended to stir up racial hatred by publishing the comments. Representing herself, Fielding-Morriss said her defence fell under freedom of expression, set out in the Human Rights Act, and the special defence of public good and being justified in the interest of science, arts, literature and learning. Although she accepted several posts were insulting, Fielding-Morriss said had no reason to believe that publishing the remarks would constitute an offence. Fielding-Morriss is due to be sentenced on Friday. She was told by the judge he was “strongly considering” a custodial sentence and she should secure herself legal representation.